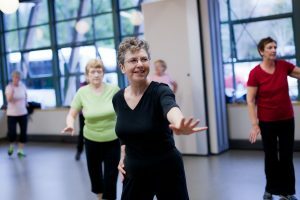 Bringing an expert in to help educate and safely exercise with your parent, grandparent, relative or even groups provides them with many positive benefits including easy exercise ideas, motivation, fun, and education. Here are the classes we can bring to your facility to help build these positive traits of health. Also consider individual training in a home environment with or without equipment.